As I do every year, I am taking this week to relax, recharge, and ski with friends. While I'm away I will be re-running the most popular posts of the year. This was the most popular post in October, 2014. Once upon a time there was a Google Spreadsheets script that would create word clouds for you. When the new (current) version of Google Spreadsheets was launched that script stopped working. This morning I found a replacement for that old script. When you have a Google Document open, open the Add-ons menu and search for "tag cloud generator." The Tag Cloud Generator Add-on will create a word cloud in the right-hand margin of any of your Google Documents that contain more than one hundred words. Word clouds can help students analyze documents written by others as well as documents of their own creation. By copying the text of a document into a word cloud generator your students can quickly see the words that appear most frequently in that document. Word clouds can also be used to help students see which words that they have frequently used in their own works. Have your students create word clouds of their work during the revision process of writing a story or essay. The word cloud will quickly show students which words they have used the most. Then ask them to think about synonyms for the words that they have used most often in their writings. As I do every year, I am taking this week to relax, recharge, and ski with friends. While I'm away I will be re-running the most popular posts of the year. This was the second most popular post in October, 2014. 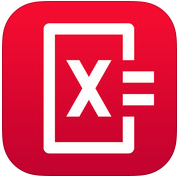 PhotoMath is a new iPhone and Windows phone app that will provide users with the solution to math problems. PhotoMath users can take a picture of a math problem in a book and have the problem completed for them. The "steps" button on the app will show users the steps needed to successfully solve the math problem. Obviously, PhotoMath is an app that students can use to check answers to math problems that have been assigned to them from a math textbook. What I am curious about is how this app could encourage teachers to change the way they think about math assignments. David Wees and Scott McLeod have already started this conversation. I encourage math teachers to join the conversations that David and Scott have started. As I do every year, I am taking this week to relax, recharge, and ski with friends. While I'm away I will be re-running the most popular posts of the year. This was the third most popular post in September, 2014. Over the years Russel Tarr has developed and released a bunch of wonderful tools through ClassTools.net. Two of my favorite tools that he has developed are Fakebook and the fake SMS Generator. Fakebook is Russel's tool for creating fake Facebook profiles. The latest version of Fakebook makes it easy to create a page by just clicking on a field and entering as much information as you like. In the profile picture field you can enter a name and Fakebook will search for images to use. For example, if you create a Fakebook page about George Washington Fakebook will search for pictures of George Washington. The Classtools SMS Generator is free to use and does not require students to log-in. 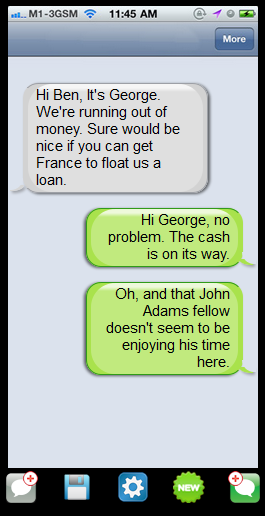 To use the SMS Generator just click the left speech bubble icon and enter a message. Then to create a reply just click the right speech bubble icon and enter a new message. You can make the exchange as long as you like. To share the conversation click the sprocket icon and grab the embed code, direct link, or QR code for the exchange. Creating a fake Facebook profile could be a fun way for students to organize information that they know and or find about a famous person. You could also have students create profiles for characters in a novel that they are reading for your literature course. Take a look at the Fakebook profile gallery for more ideas about using Fakebook in your classroom. As I do every year, I am taking this week to relax, recharge, and ski with friends. While I'm away I will be re-running the most popular posts of the year. This was the second most popular post in September, 2014. Socratic Smackdown offers a fun approach to having students practice discussion strategies. 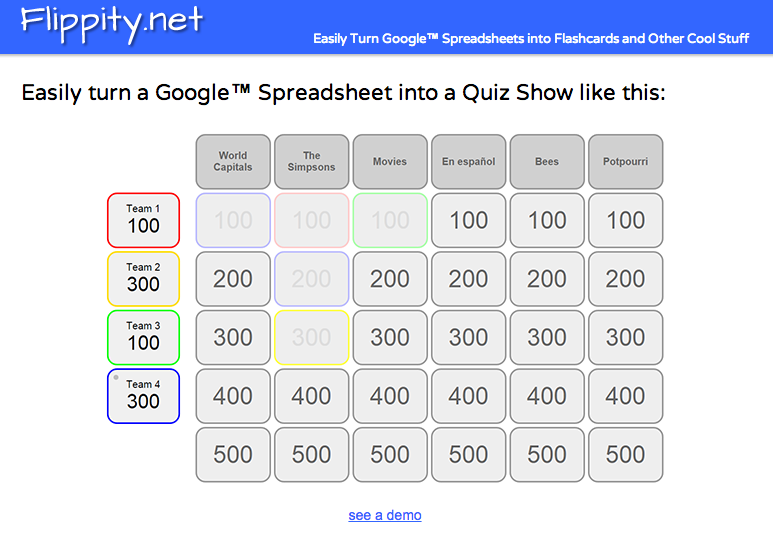 Socratic Smackdown is a printable game designed to be played with up to forty students at a time. In the game students are awarded points for using each of six questioning and discussion methods. Students can lose points for interrupting or distracting others. The play of Socratic Smackdown can be organized around a text-based question or organized around debate a question delivered verbally. During the game students can play the role of participant or "coach." A coach's role is focused on listening to the group and completing "coach cards" on which they write observations on what the participants did well and what they can do to improve. Check out the video below for a short overview of Socratic Smackdown. Socratic Smackdown provides a great framework through which your students can develop discussion and debate skills. The game packet (a 23 page PDF available here) includes alignment to Common Core standards for middle school and high school classrooms.